Cabestan merges traditional skills with technological innovation and avant-garde design. Entirely the work of master-watchmaker Eric Coudray, the Triple Axis Tourbillon is inspired by the catamaran's sleek lines. 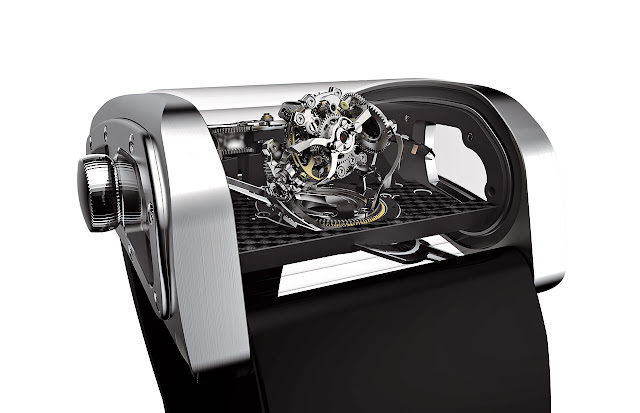 The case - a hand-polished sapphire tube made as a single block - contains a triple axis flying tourbillon. Each of the three cages rotates at a different speed. This superposition of 17, 19 and 60-second durations brings stunning kinetic complexity to the movement, heightened by its position in the watch. It also benefits from the positive effects of a fusee and chain transmission. The 507 parts in this chain are assembled in-house. 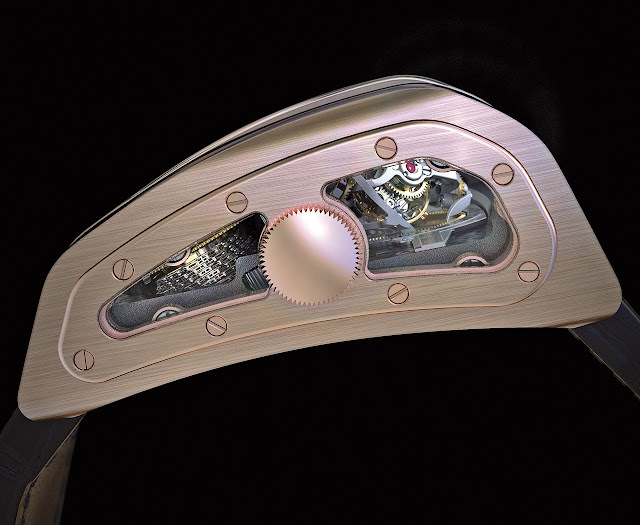 As for the movement parts, they are chamfered, polished and finished by hand, and remain perfectly visible. 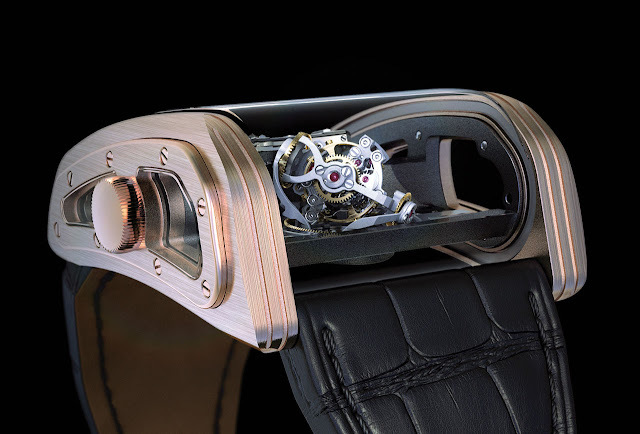 The uniquely constructed case is proposed in a range of precious metals or treatments, at the customer's request, within a limit of 135 pieces. 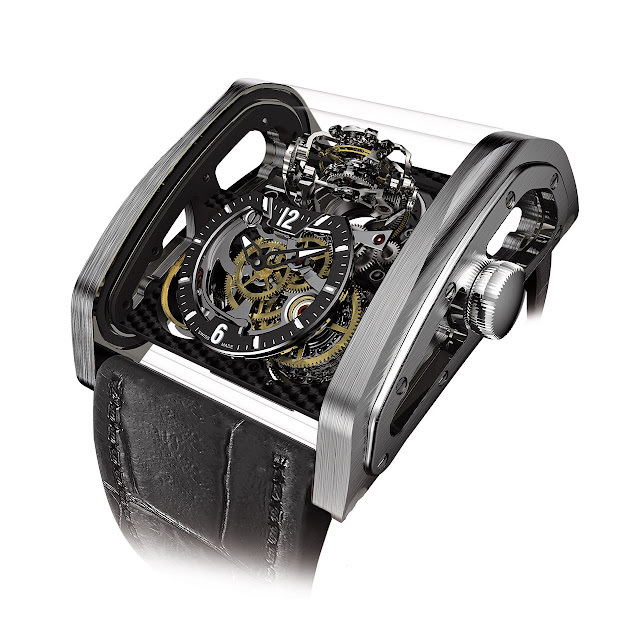 Mechanical hand-wound, CAB EC 17 calibre, 1,044 parts, fusee and chain constant force mechanism, triple axis flying tourbillon with three rotational speeds, 50-hour power reserve. Hand-polished sapphire tube, sealed by two sapphire and brushed titanium windows. Dimensions: 50.25 mm long, 45.50 mm wide, 22.30 mm high. Water-resistant to 30 metres (3 bar/100 ft). Available in 18K pink, yellow or white gold, titanium and platinum.